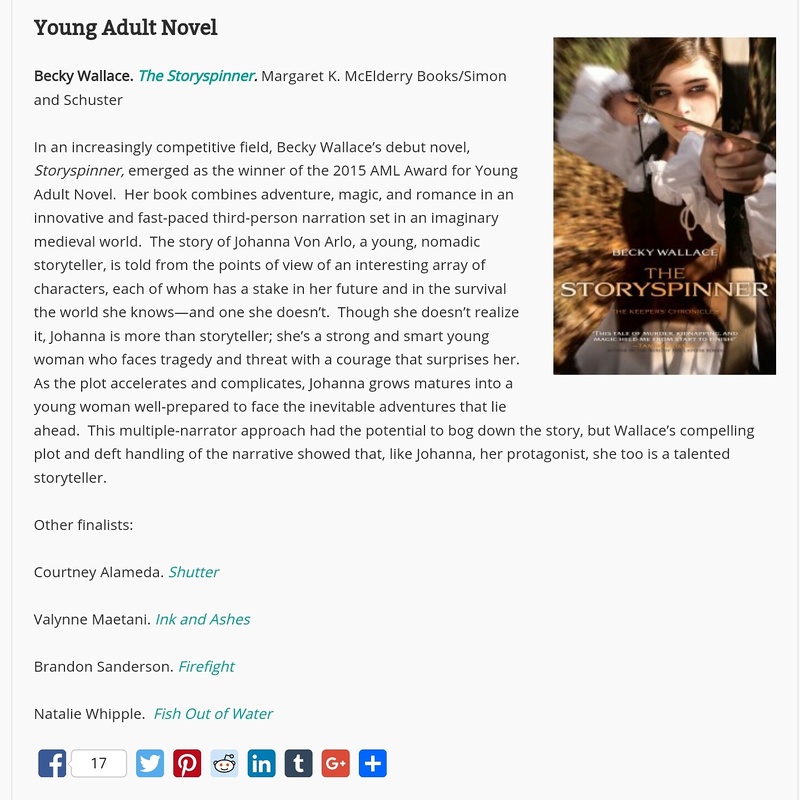 STORYSPINNER won the AML for Best YA Novel of 2015!! On Friday I got an e-mail from my editor with the subject line, “Drumroll, please…” I don’t know what I was expecting, but it wasn’t an AWARD. I knew I was nominated and was pretty darn excited about that, but to win??? The other books were all so amazing, and their authors have a lot more clout than I do. I mean, Brandon Sanderson. SANDERSON. He is the like one of the gods of modern day fantasy. Yep. I’m a professional like that. I’m so honored to have even been listed was these great writers, and to know that people like Shannon Hale, Ally Condie, Brandon Mull, and of course, Brandon Sanderson have won the AML in the past. If you want to know more about the AML, go here. For a list of this years winners, go here (scroll to the very bottom!). And for previous winners, go here! !